Enjoy the top 2 famous quotes, sayings and quotations by Chameleon. “So much better for you to long for what you can never have, than to get it and have to face the reality of it. I assure you, when you realize the reality of this situation, there wont be a hole deep enough for you to climb into to hide the mortification youre going to feel. “Never confuse lust for anything other than what it is. There isn't a man alive that wouldn't gladly take what you are so willing to offer." “So much better for you to long for what you can never have, than to get it and have to face the reality of it. 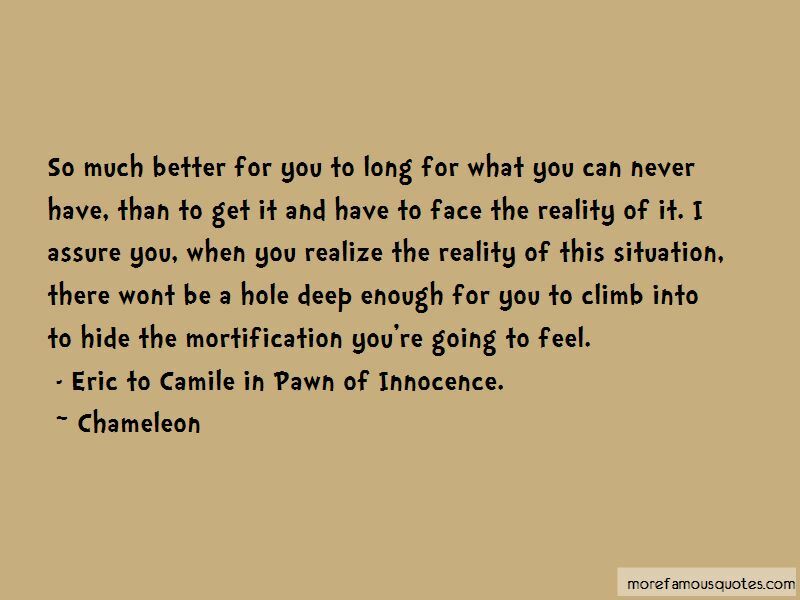 I assure you, when you realize the reality of this situation, there wont be a hole deep enough for you to climb into to hide the mortification you're going to feel. 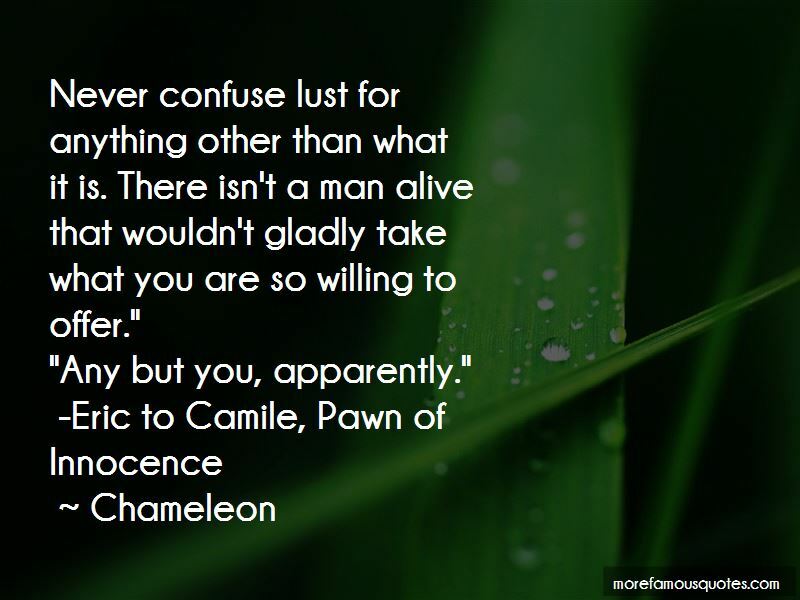 Want to see more pictures of Chameleon quotes? Click on image of Chameleon quotes to view full size.